Our local garage door service company in Humble, Texas, is available to help you with any problem. We are at your disposal for same day repair but also new installations. Do you want to replace the clicker or opener? Need assistance with one of the springs? Is the cable broken or the overhead door off track? There comes a time when you need urgent assistance and there comes a time when you want routine inspection and lubrication. In either case, our Humble garage door service provider will be there to cover your needs to your full expectations. 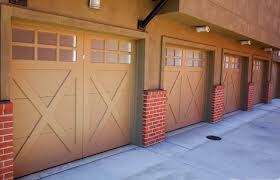 We service all types, sizes, and brands at Garage Door Repair Humble. So don’t hesitate to call us if you need help with your commercial door. Whether you have an oversized industrial door or a rolling counter one, you can depend on our expertise. Our techs are factory trained and fully updated. We have all the qualifications required to troubleshoot and repair all garage doors. And we bring along the best garage door repair parts to make sure broken springs, cables, tracks, and other damaged components are replaced on the spot. During repair services, we fix the door by aligning and replacing parts, adjusting the door and its travel limit, taking care of the reverse mechanism, and taking care of any problem. During garage door maintenance, we still make adjustments once we test the balance of the door and its travel limits. Our pros provide lubrication and do any required repair work to ensure there are no noises or problems, which might render the door unsafe. Trust us to do any garage door service in Humble in a timely manner. Call us to maintain or repair the door to be certain of the excellent results.